100 Years Young...A Visual Diary of my Gran's 100th Birthday. A few weeks back I had the pleasure of photographing my Grandma again but this time is was something special…her 100th Birthday. 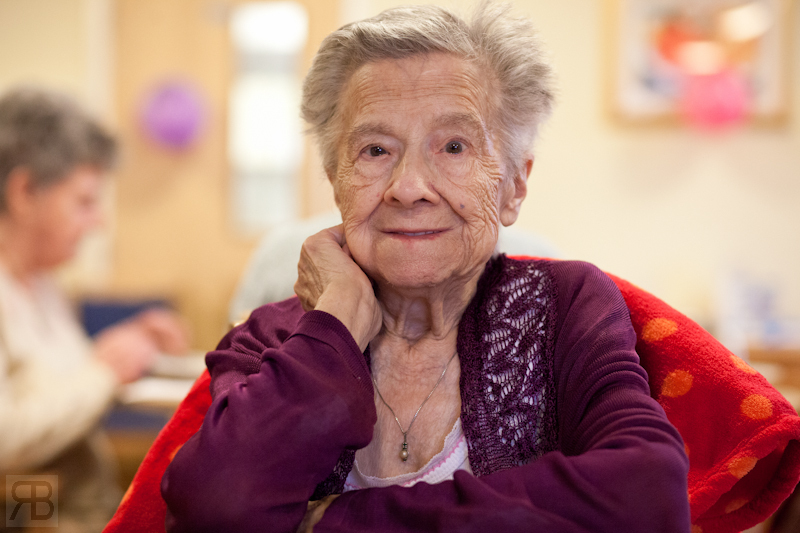 I am happy her new care home is great, the staff are brilliant, its clean and warm.. very warm in fact. 100 years old, it’s amazing, she’s even more amazing. Want to talk about things from years ago.. no problem Gran remembers. She is still her very independent and strong willed self. As you can imagine at 100 years old some things start to give in, her eyes are not great which is why all these images are available light. Last thing you need to be doing in a care home is setting up lights and stands… its not going to end well and flash is hard on the eyes. The day went really well, Grandma loved it and was happy to have Family around her on this special day. Sadly people were coming and going all day so I could not get the whole family together for a shot. Below are a selection of images from the day, I took a fair few running two cameras. Gran with two of her Daughters and a card from the Queen. Gran with one of her Gran sons Craig. 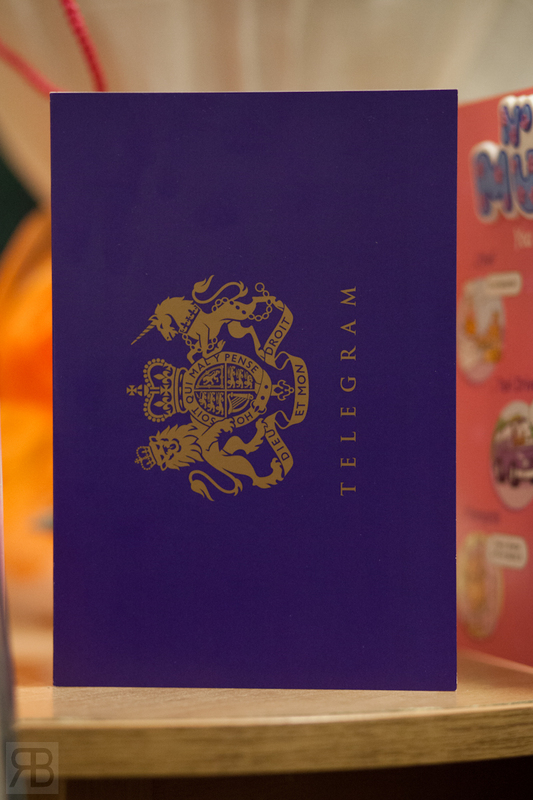 Lots of cards, flowers and of course a telegram. But I think this one is far better. That’s her at 21 years old on that card. It was great to see her happy with Family around her, but it was somewhat overwhelming for her in parts. I wonder what she is thinking about. The care home was great, putting up with us lot, hosting the Birthday celebrations and taking care of the other residents. 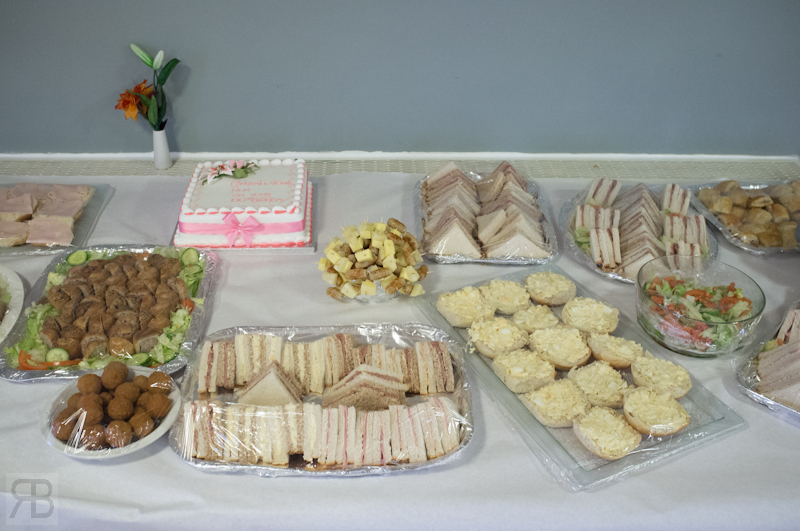 They had a great food spread on and entertainment for later. 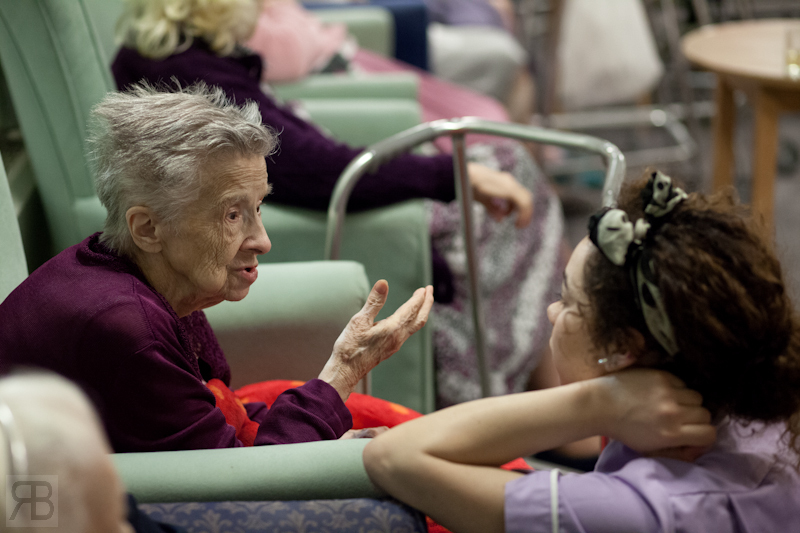 One thing you will notice is my Gran has a very expressive face when in conversation, sometimes looks like the other person is getting an earful. Love these shots, love you Gran. With one of her good friends (Hilda) in the home. After food it was time for the cake. Yup still enough puff to deal with candles at 100 years old. Some cake then a chat to a friend on the phone. After food and cake it was time for the Entertainment… no not male strippers, instead some singers. Along with a chat to care home staff. Glad you had a great day Gran and happy 100th birthday; you are am amazing woman with a great family. Oh if the home puts on a race down the corridors I am putting my money on you because your running rings round residents 20 years younger. P.S For the readers of my blog/ fellow photographers. You have a camera, lens, light to work with right? Good.. Now go photograph your family, Dad, Mum, Gran, Brother Sister.. Photograph your friends. Don’t put it off, don’t say I will do it tomorrow… go do it! You will not regret it. 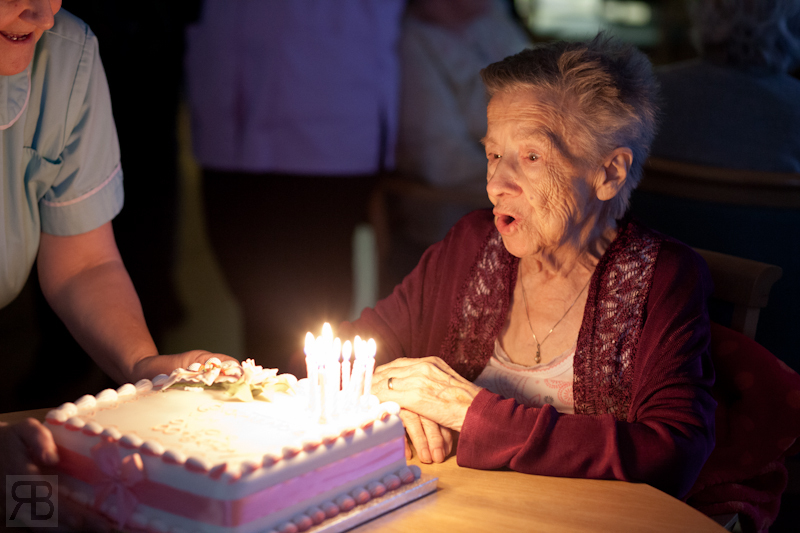 I hope you get chance to photograph a loved ones 100th birthday one day. It’s not the gear it’s the moment, the photograph, and the memories. I was booked to shoot Baby Freddie again after the last shoot in Dec 2010 and its amazing to see how much he has grown in the last 3 months. Here are some of my favourite images of Freddie from the shoot, which was great fun. 4.) This ones is my personal favourite- Can also be found in my Portfolio. 5.) After a great shoot Freddie was a little tired out, as was I.
Freddie your an absolute star, and a big thank you must go to Freddie's parents Esther & Phil.